Marine-Plus.Com Wagner Remote 12-Pin Female Plug Receptacle Repair Kit w/5 Wired Pins (New, Factory Crimped 3" Wires Attached) For the Boating Community! Can Also Be Used With Some Robertson Pilots ... 12 Pin Plug with 5 or Less Female Pins. New 7-Pin & 12-Pin Wagner & Robertson Style Male & female Plugs Also Available in Sea Chest of Treasures! Very IMPORTANT Note: Matching Color Wires on Pins will be Installed into Correct Locations Inside Plug for Your Application, RC-P or RC-F ... THEY ARE Different so Let Me Know which Remote You Have During Purchase. OR, It will come Wired for RC-P Portable Remote Use! 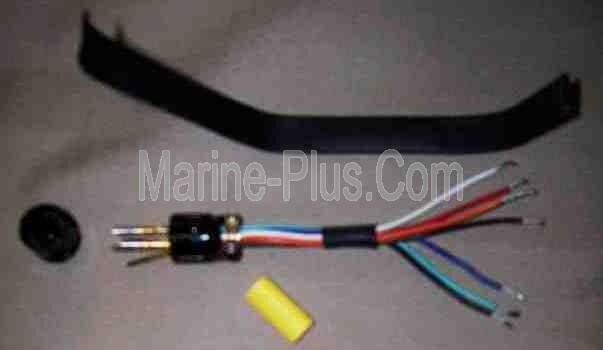 Plug is the Same one Used for the Robertson Autopilots Manufactured in the Late 1980's Early 1990's. 2 BIZ Day After Payment. IF YOU NEED MORE ... Custom Made So Contact Us!